17 students from Schule für Modemacher Münster came to visit the Fiege location in Münster. 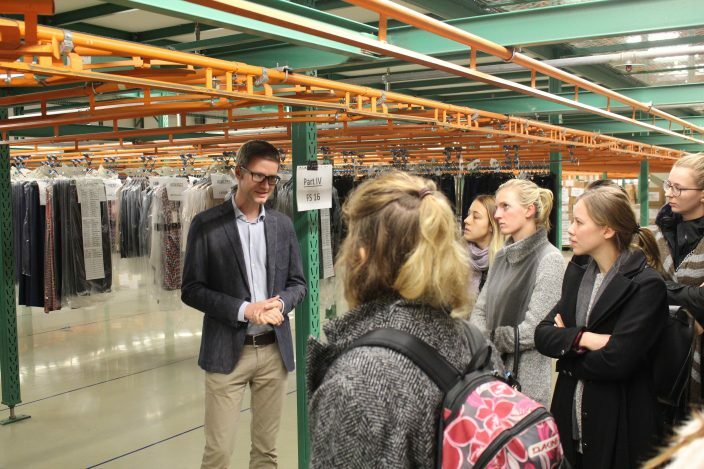 The young fashion enthusiasts visited the logistics experts at Fiege in the context of their product management and marketing course. 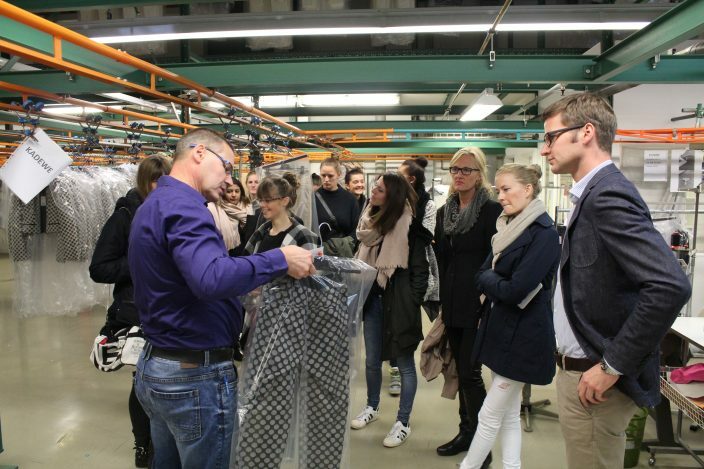 Ralf Schulze explained the pros and cons of hanging garments vs. flat textile goods. Hanno Reekers guided the students through the many floors and demonstrated to them how 15,000 square metres of space are turned into 30,000 square metres dedicated to logistics. Baby formula, luxury articles, but also fashion items from Germany are in great demand in China. 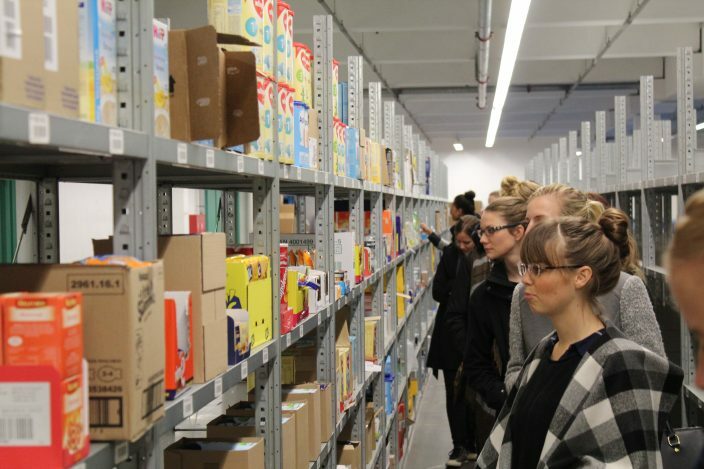 The students browsed the racks storing goods destined for Chinese end consumers. Good logistics are the decisive factor. Parcels need to reach the customer in no time. “If customers have to wait three days before receiving their parcel, a look at their bank account might tell them that they no longer want the goods”, explains Hanno Reekers. Münster, 25th of October. The 2016 graduates from the Schule für Modemacher, a private, Münster-based academy that trains couturiers in all aspects of their profession, came to visit the Fiege branch in Münster on Harkortstraße on 25th October. 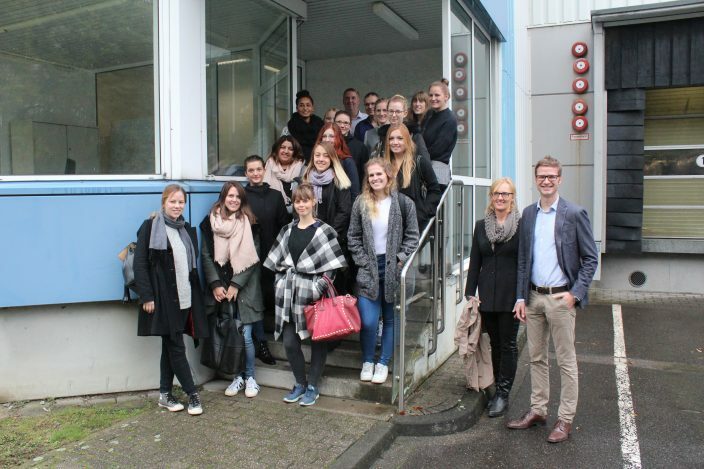 The branch manager, Hanno Reekers and his colleagues, Ralf Schulze and Hubertus Möcklinghoff took the head teacher, Beate Welp-Gerdes and her 17 students on a tour of the textile and eCommerce location and answered all of their questions. The students received an impression of logistics, the company Fiege, the particularities about storing textiles as well as different marketing options. 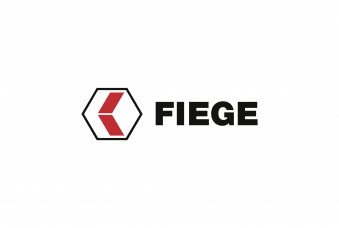 And even the exciting topic of the Asian market and the potential growth it offers German products as well as Fiege’s proprietary cross-border solution, CheckOut2China, were discussed.